Welcome to Begbies Traynor in Sheffield. We are a group of experienced and licensed Insolvency Practitioners helping distressed companies with either rescue or closure options. Welcome to the Sheffield office of Begbies Traynor; one of over 40 around the country and one of five in Yorkshire. We are a group of licensed Insolvency Practitioners and business rescue experts, helping company directors and individuals in financial trouble. The Sheffield team is led by Kris Wigfield, and can offer expert advice in a number of different areas including corporate recovery and insolvency, personal insolvency, investigations, finance broking, general corporate advisory and creditor services nationally. They can advise you on your current circumstances with clarity and in confidence. If you are trying to cope with financial problems time is of the essence. It is crucial to act quickly if positive resolutions are to be found. The sooner you contact Begbies Traynor, the sooner our experts can start working on your behalf to identify and implement sustainable solutions whether that be through business turnaround, refinancing or a formal insolvency process. You can arrange a free initial consultation with one of our experts either at our city centre office, of if more convenient, at your home or place of work. The National Creditor Services Department based in Sheffield have in-depth knowledge and experience of representing clients at creditors’ meetings, with nationwide coverage. We give our client base portal access to our unique online system (ICE) to enable them to review all their live cases 24/7. With continuous growth of our national client base we monitor and manage the full range of creditor meetings, so why not let us represent you too? Our services are free of charge. 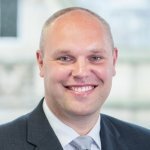 Karl Hodson, head of BTG Corporate Solutions is based at the Sheffield office and can help businesses across the UK raise funding for a variety of purposes such as working capital, expansion and capital equipment. The funding may be required from businesses looking to grow, businesses seeking to refinance or those experiencing cash flow issues. The team work closely with the ABL Group and have relationships with a variety of lenders ranging from mainstream to niche funders with expertise and specialist knowledge of raising finance through invoice and asset based lending, crowd funding, loan and equity funds and Government schemes. BTG Corporate Solutions also provide Debt Recovery options and seek to maximise collections on credit control and debtor book collect out positions by overcoming the common issues that surround distressed or failed business. The team works with, and on behalf of, major financial institutions, insolvency practitioners and individual SMEs and have the structure and flexibility to individually tailor services to the needs of each client. If you are based in the South Yorkshire, Lincolnshire or Derbyshire area and wish to arrange a free initial consultation, you can call us on 0114 275 5033. Our office is based in Kendal House on Scotland Street, in the city centre. We do have further offices in the Yorkshire region which are located in Doncaster, Hull, Leeds, York and Scunthorpe which you may find more convenient.